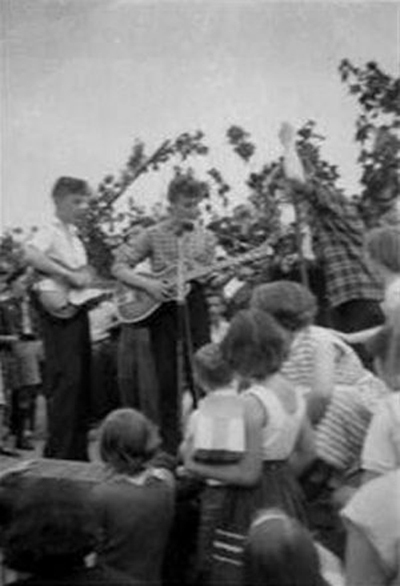 On Saturday, at 3:30 PM on the afternoon of July 6, 1957, The Quarrymen skiffle group played at the garden fete of St Peter’s Church, Woolton, Liverpool located at Church Road L25 6DA, United Kingdom. 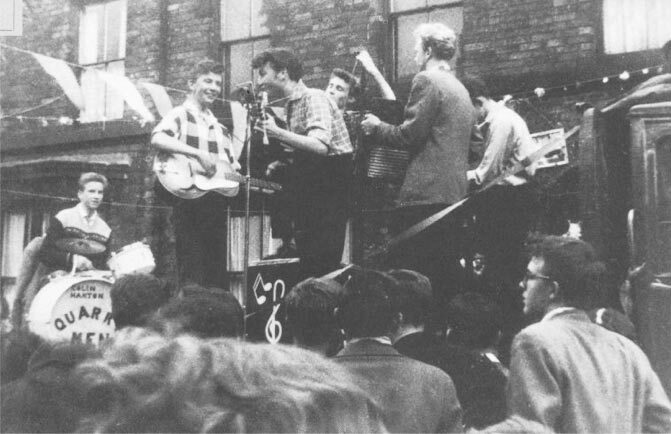 The Quarry Men were fronted by a 16 year-old John Lennon backed by his friends from school. 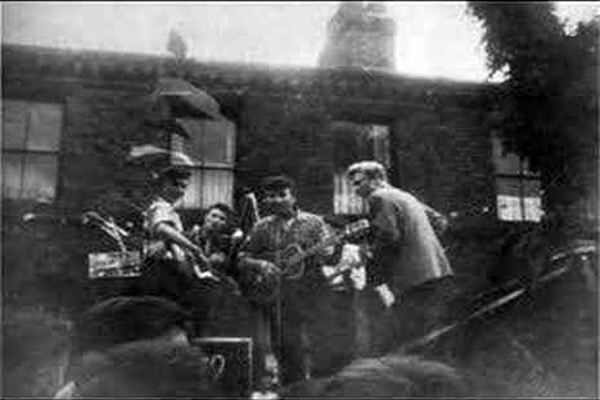 There aren’t any photos of Lennon and McCartney meeting on that day but on November 23, 2009, this new photo of the event was found by the photographers family after almost 50 years of not being seen. 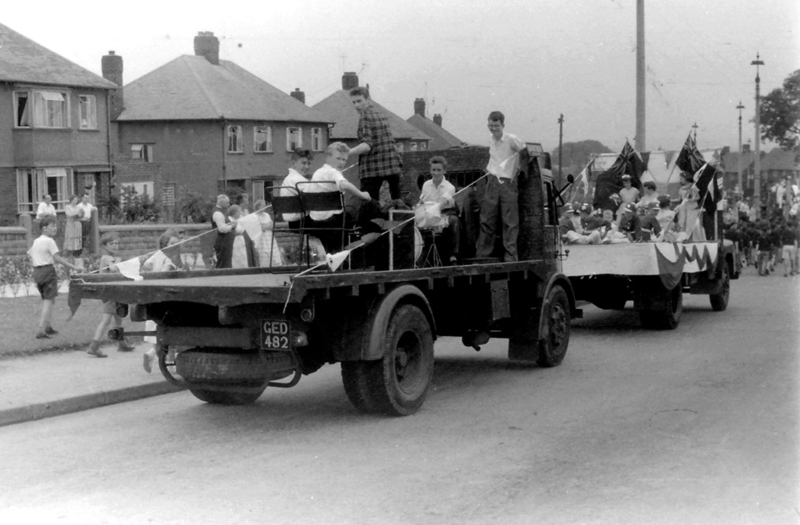 Here is another photo that was recently found as well. 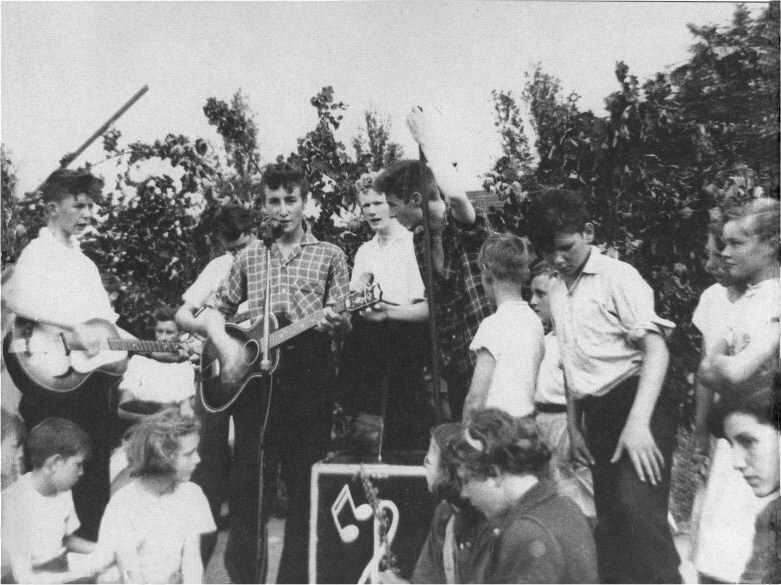 Lennon is obscured in this photo, as he is behind the guy standing. 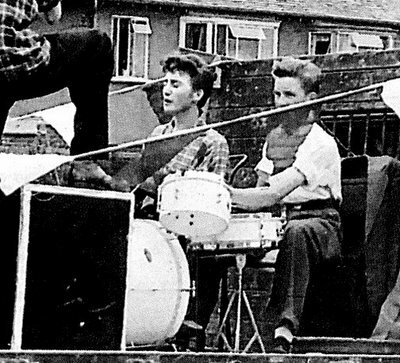 This day was actually the beginning of The Beatles. 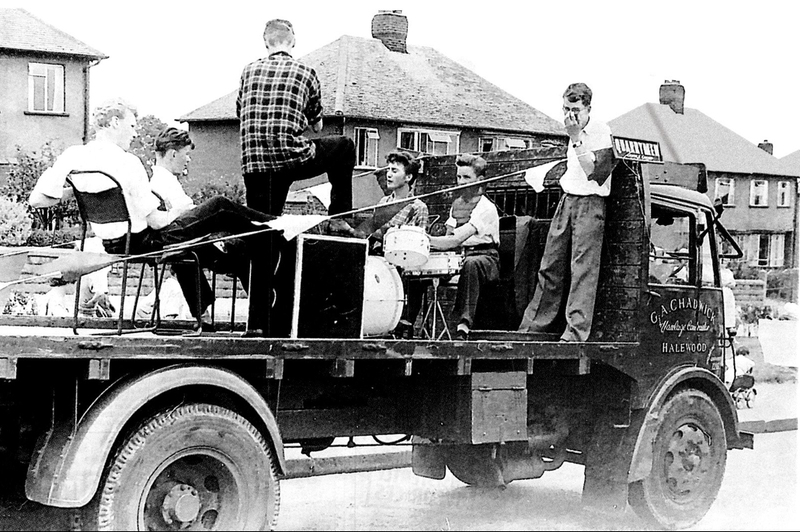 Who would have thought?? ?